Why do you use a metronome? The use of a metronome came from research with the Russian brain expert, Dr. Luria along with programs designed by Dr. Ken Gibson (1). They discovered that adding intensity to an exercise brought more brain activity and faster results. The metronome has many important brain building benefits. We have noticed double and triple results when we use the metronome! 1. 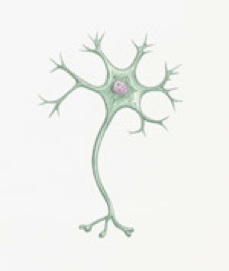 Brain Building: By pulsing learning with the metronome you actually extend the dendrites of nerve cells. This extension causes greater neurological connections in the brain and nerves as well as the muscles. Brain activity is actually increasing as you work with the metronome! New neural connections are being made, and have been proven through brain imaging. 2. Get in Sync: The metronome helps your child to think and process in rhythm. All people connect with one another through body language and facial expression. Children who work with the metronome improve their conversation skills and body language awareness. 3. Focus-Focus: The metronome helps concentration. Your child will have to concentrate to keep up with the rhythm in addition to reading and writing. This causes greater brain activity. Greater brain activity = smarter children. Open the metronome and add a 9 Volt battery. Close it up and slide the switch on the side. Squeeze the center button up and down for speed variations (The numbers will indicate beats per minute.). The alarm you hear is the note “A” for instrument tuning and will not be used in this program. Someone just said, “That sounds awful, turn it off!” For some of you the clicking of the metronome is a foreign, uncomfortable sound. Please understand, we know how you feel, but it really will help you and your child. If the metronome is uncomfortable, you probably need it the most! PLEASE KEEP TRYING, YOU WILL REAP GREAT REWARDS BY LEARNING TO WORK TO RHYTHM. As you are in metronome training, think like a physical therapist. No pain, no gain. Try these exercises to help you become familiar with the beat. Push the center arrow up to 120 beats per minute. Practice with clapping on every other beat of the metronome. (clap-click-clap-click-clap-click) We do every other beat so that the child can hear the sound in between beats. It is very difficult to clap to the beat on every beat. Play clapping games to the metronome. Slap your lap, clap your hands…slap-clap-slap-clap. Tap your foot as you clap. PRACTICE – PRACTICE- DON’T STOP! When you learn to read on rhythm to a metronome, you will be able to read smoothly and quickly. You will also be able to speak much better as well. REMEMBER A METRONOME TRIPLES YOUR PROGRESS! If necessary, cover up words which you are not reading at the moment to prevent extra frustration. Start the metronome at an easy pace such as 90 beats per minute. Begin to read each sound in the word with your child on every other beat. Next go down the right hand list of words to every other beat or even every two beats, just to read the words with a rhythm. Place a star on every speed at the bottom of the page which you master. On another day in the future, come back to this page and read the words on every beat for mastery. In this way you will give one star for every other beat speeds and two stars for every beat speeds. Use words from your Rollin’ Down the River Reviews and set the metronome at 100 beats per minute (bpm). Teacher holds the book and the student must listen very carefully. Say a word and ask the student to repeat only the sound you request. Teacher says a word, student says the sound. Skip reading: To give greater challenge and eye exercise, skip across the lines. (If there are four lines on a page, start by reading columns 1 and 2 together, then 3 and 4 together, lastly read columns 1 and 3, or 1 and 4. This will force the eyes to track across the page quickly. We read stories to the metronome to build smooth reading skills and fluency. It also helps to train the “inner reading voice.” This is the wonderful gift which creates personal movies playing in the reader’s mind. When reading a story to metronome, read the sentences to the beat by clustering the phrases together. Practice reading the story together first, then let the stdent repeat after the teacher to get the phrase smooth. Do NOT speak only one word per beat, instead, cluster the reading phrases. Then have the student re-read the story again and again until it sounds rhythmic and smooth. It doesn’t matter exactly how the words are clustered, it only matters that the story sounds smooth and expressive. REMEMBER, THE METRONOME TRIPLES YOUR RESULTS! Start by teaching your child how to hold a pencil in a comfortable manner. The thumb and fingers should come together around the pencil. IMPORTANT! Letters must be made in the proper format to the metronome. First, work on writing while sounding out letters to a rhythm of the metronome. YOU MUST LEARN TO MAKE YOUR LETTERS PROPERLY AND SOUND-AND-WRITE TOGETHER. Don’t worry about how fast the letters are formed, as long as your child has a smooth flow in the writing process. Some students write to every 3 beats, others write to every 4th or 5th beat. Teacher speak the word. The student listens to the word, then repeats the word. Next the student writes the word and speaks the word out one sound at a time.